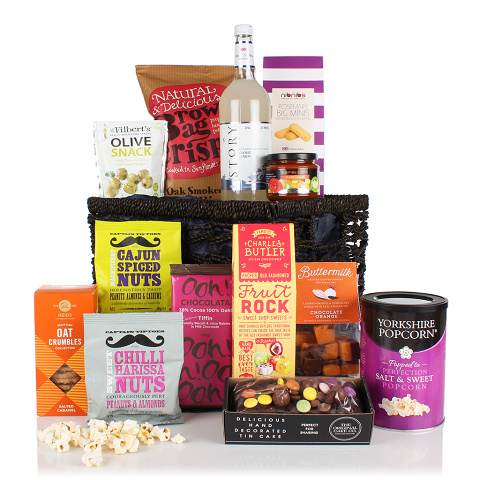 A bright and cheerful hamper guarenteed to be delightfully received. For those with a penchant for sweet foods we have included salted caramel oat biscuits and a delicious handmade chocolate cake. However, we have also included an array of savoury treats which are dangerously moreish, including olives, nuts and crisps. This gift is also suitable for those celebrationg EID.